Twenty-two people were killed and dozens were injured in the attack. A "strong-willed" girl named Laura MacIntyre is in critical condition after Monday's suicide bombing at a concert in Manchester, England, that killed her friend and 21 others. In a statement from Laura's family released by the Greater Manchester Police, the family said, "Our daughter Laura is a funny and witty young girl who excels at everything she does." Laura and her friend "were so looking forward" to the Ariana Grande concert, but Laura's friend died in the bombing and Laura was left critically injured, the family said. "Laura is strong-willed and a fighter," the family said. "We know that Laura is in the best possible place and is receiving the best care that she can." The family added, "We want to thank everybody for their support including the emergency services for all that they have done and continue to do." 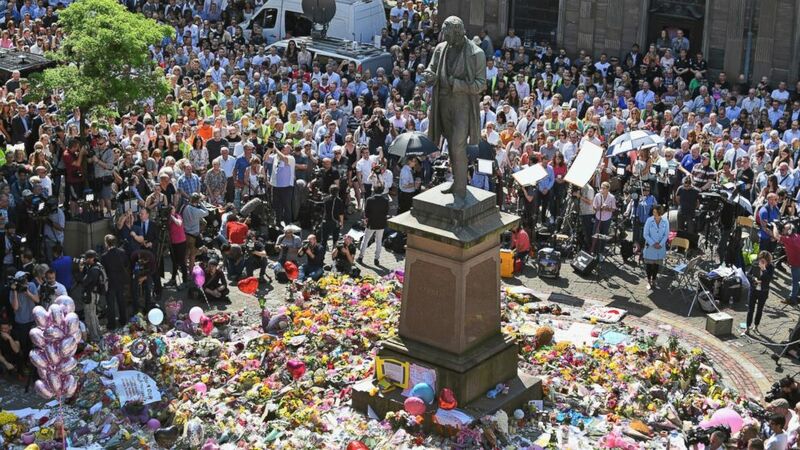 (Jeff J Mitchell/Getty Images) Members of the public observe a national minute's silence in remembrance of all those who lost their lives in the Manchester Arena attack, on May 25, 2017 in Manchester, England. Eight men are in custody in connection with the attack and police said searches are ongoing. "I want to reassure people that the arrests that we have made are significant," Greater Manchester Police Chief Constable Ian Hopkins said today, "and initial searches of premises have revealed items that we believe are very important to the investigation. "These searches will take several days to complete, as you would expect, therefore there will be some disruption. However, it is important that we continue with these searches," Hopkins said. "We are now carrying out associated searches at a number of addresses." 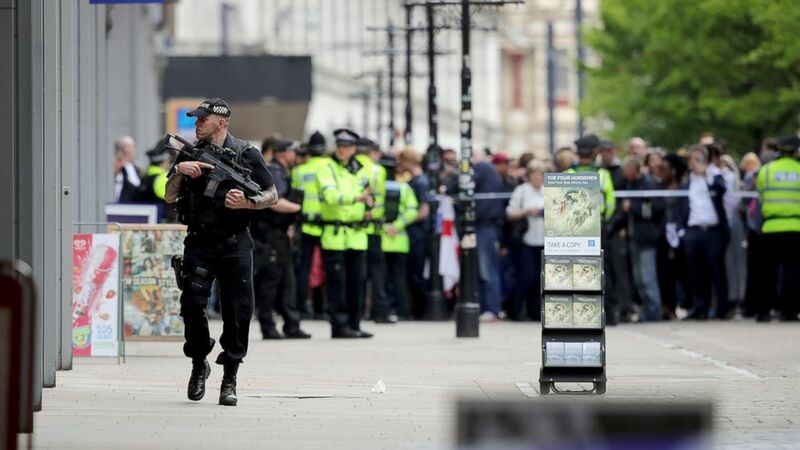 United Kingdom Prime Minister Theresa May said Thursday that progress was being made in the ongoing investigation, but reiterated that the national threat level was still at critical -- meaning that an attack could still be imminent. All 27 major trauma centers in England have been told to prepare staff for a potential terrorist attack ahead of the Bank Holiday weekend in response to the national threat level, according to an NHS England spokesman. NHS England has asked the centers to make sure staff are familiar with major plans and review their roles and to check that surgical staff have been advised to review management of patients with blast and ballistic injuries. Manchester police said "potentially suspicious items were found" at one house that was raided this morning in Wigan, which is about 24 miles west of Manchester. “A large cordon has been put in place as bomb disposal experts make an assessment” and people were evacuated "as a matter of precaution," the police said. The U.K. Metropolitan Police said Wednesday that additional armed officers have been freed up to carry out patrols across the U.K.
(Christopher Furlong/Getty Images) Crowds of people wait outside after police evacuated the Arndale Centre, May 23, 2017, in Manchester, England. "The extra officers add to a wider policing plan which sees increased patrolling at crowded places, iconic sites and transport hubs as police and partners do everything they can to protect the public," they said. Armed police officers are now patrolling trains in the U.K.
Chief Constable Paul Crowther of the British Transport Police said, "By having firearms officers on board trains, we’re ensuring that trains remain as safe as possible for passengers. Our patrols will be highly visible and passengers should feel comforted by their presence. Please do speak to them if you have any concerns at all." "This is part of our national mobilization plan to deal with the current and ongoing threat," Crowther added. "It is important to note that we do not have any specific intelligence in relation to train services, but are taking this action to ensure we can protect and reassure the public." Some airlines that fly to London's Heathrow Airport are warning their passengers to allow additional time when traveling in and out of the facility. The airport says passengers will see a "higher visibility of police patrolling and additional checks at the airport." Salman Abedi, 22, the suspected suicide bomber, died at the scene of the bombing. Authorities found what was described to ABC News as a bomb-making workshop in Abedi's home in Manchester, with enough chemicals to build several additional bombs. (AP Photo) An undated file photo of Salman Abedi, the suspected suicide bomber in the Manchester Arena attack in Manchester, England, May 22, 2017. 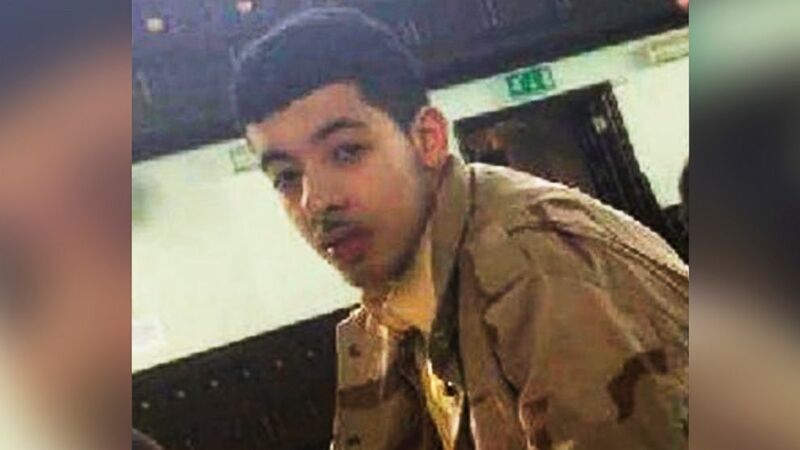 A brother of Salman Abedi, Hashem Abedi, was detained in Libya after the attack. Libyan authorities had been following Hashem Abedi for a month and a half because of suspected links to ISIS, said Ahmed Dagdoug, the spokesman for Libya's counterterror forces. During interrogation, Hashem Abedi revealed that he knew his brother was going to carry out an attack, but he did not know where or when, Dagdoug said. Hashem Abedi also revealed that he knew exactly how the bomb was made, Dagdoug said, and that he believes that Salman created the device by himself. He said that he provided some assistance to his brother, but added no specific details about how. Dagdoug said a network was involved in planning the attack. The brothers came to Libya on April 18 and Salman Abedi departed on May 17, Dagdoug said, but it's not clear at this time if Salman went to Syria. Salman Abedi's father, Ramadan Abedi, was also arrested in Libya. Ramadan Abedi was interviewed by Reuters from Libya while in detention, and denied that his son was a follower of ISIS, which claimed responsibility for the attack on Tuesday. "Salman doesn't belong to any organization," he told the news agency. "The family is a bit confused because Salman doesn't have this ideology, he doesn't hold these beliefs." Dagdoug told ABC News that the two brothers do consider themselves to be members of ISIS and said that they had been studying ISIS videos online, including instructional videos that teach the viewer how to make a bomb. Another one of the suspect's brothers, 23-year-old Ismail Abedi, was arrested in Manchester, a security official confirmed to ABC News. On Wednesday, Hopkins said, "This is clearly a network that we are investigating, and extensive activity is taking place across Greater Manchester as we speak." A moment of silence was held across the U.K. today to remember the 22 victims, which included a female police officer and an 8-year-old girl. 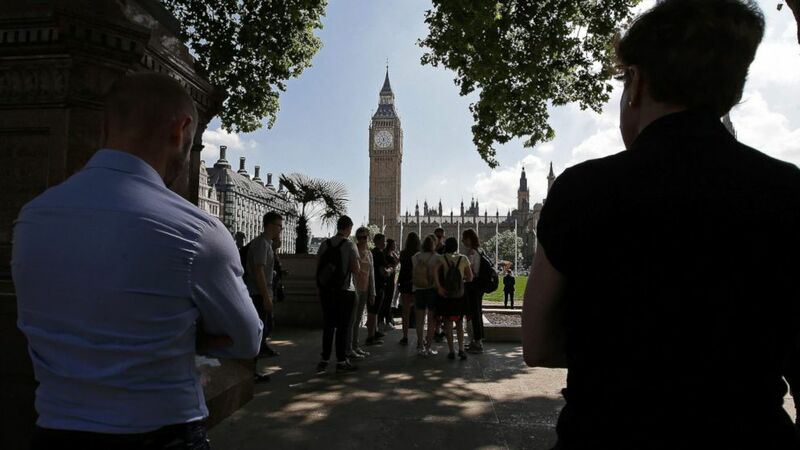 (Daniel Leal-Olivas/AFP/Getty Images) People stop to observe a minute's silence in Parliament Square, Westminster in central London, on May 25, 2017, as a mark of respect to the victims of the May 22 terror attack at the Manchester Arena. 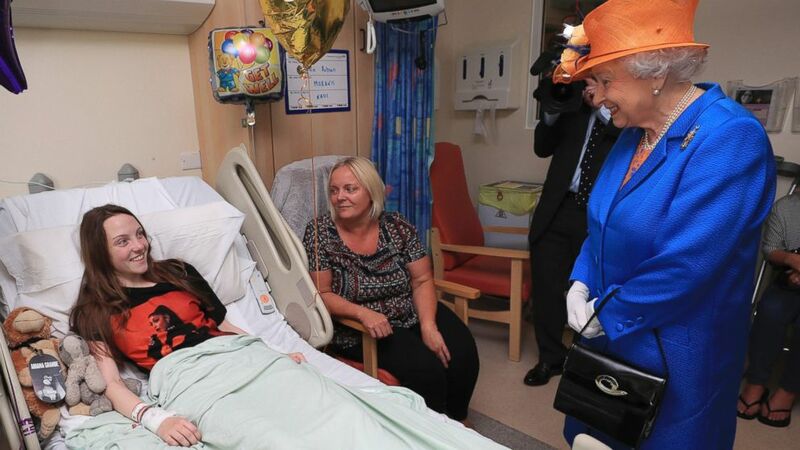 As the nation mourns, Queen Elizabeth II visited victims and hospital personnel at the Royal Manchester Children's Hospital today. (Peter Byrne/Pool via AP Photo) Britain's Queen Elizabeth II. 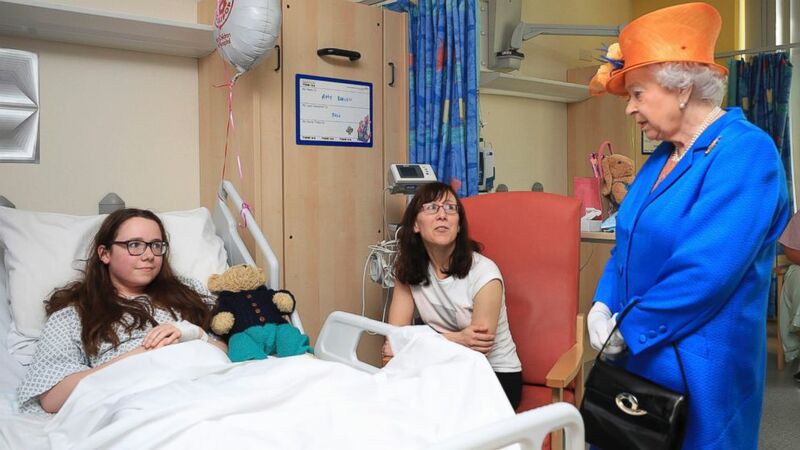 right, speaks to Millie Robson, 15, and her mother, Marie, as she visits the Royal Manchester Children's Hospital in Manchester England, to meet victims and to thank members of staff who treated them, May 25, 2017. 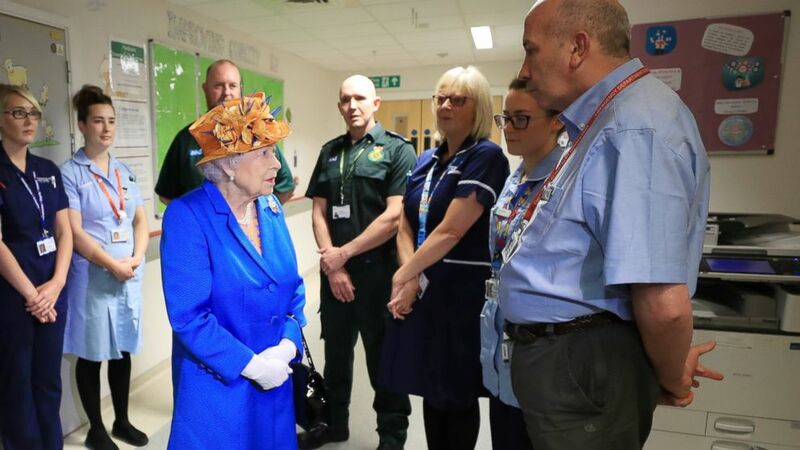 (Peter Byrne/AP Photo) Britain's Queen Elizabeth II speaks with hospital personnel as she visits the Royal Manchester Children's Hospital to meet victims and to thank members of staff who treated them, May 25, 2017. 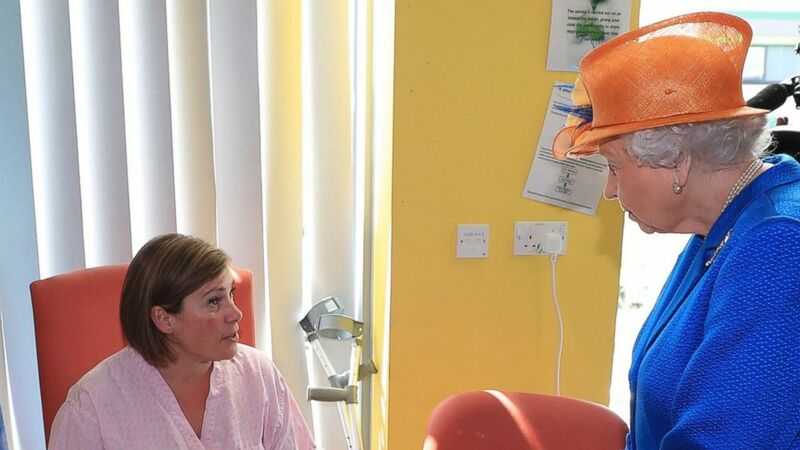 (Peter Byrne/AP Photo) Britain's Queen Elizabeth II, right, speaks to Ruth Murrell during the Queen's visit to the Royal Manchester Children's Hospital in Manchester England, to meet victims, May 25, 2017. (Peter Byrne/AP Photo) Britain's Queen Elizabeth II, speaks to Amy Barlow, 12, from Rawtenstall, Lancashire and her mother, Kathy, as she visits the Royal Manchester Children's Hospital in Manchester England, to meet victims and to thank members of staff who treated them, May 25, 2017.